Our job is to represent cruise ship passengers that are injured or become sick on cruise ships in their lawsuits against the cruise ship companies. Cruise Ship Passengers can always consult their problems with us free of charge with the knowledge that whatever they tell us will always remain confidential. We always help our cruise passenger clients obtain the medical care that they need. If the cruise passenger has health insurance, we help him to maximize it and collect it. If the cruise passenger does not have health insurance, we will find for him doctors who are willing to wait until the end of the case to collect their fees. 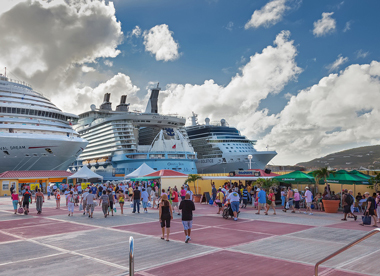 We always help our cruise passenger clients collect all wage and salary losses they have because of injuries or sickness they have suffered during the cruise. We hire our own doctors to make sure our cruise passenger clients have been diagnosed and treated correctly. We always hire our own experts to help us understand and prove the mechanics involved in the accidents, incidents, and illnesses our cruise passenger clients suffer on and off the ships. Our cruise passenger clients that reside in the United States do not need a visa to attend the legal proceedings related to their lawsuit. When a cruise passenger client is a citizen of another country and resides in another country, he will need a B1-B2 visa to come to the United States for his case. Whenever a cruise passenger client needs to come back to the United States for his case, we help him obtain his B1-B2 Tourist Visa. We are always happy to provide our cruise passenger clients with an estimate of how much money compensation they can receive for their injuries. We always fight to obtain for our cruise passenger clients the greatest amount of money compensation. In most cases, we can obtain money compensation for our client without the need for him to attend a trial or any other legal proceeding. We always answer all cruise passenger clients’ phone calls and Emails promptly to address any questions or clarify any doubts they may have.